Who can forget the ever-changing blooms of hydrangeas — changing blue in acidic soil, pink in that with more lime and reminiscent of those science class projects using litmus paper. And then of course the white hydrangeas, with blooms resembling large snowballs that as children would often amaze us. As adults, they still do, which is why growing hydrangeas is so much fun. 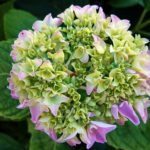 They’re not only easy to grow but are also quite hardy and resistant to most pests and diseases, making it even easier to care for hydrangeas. And with numerous varieties to choose from, you’re certain to find one that’s right for you. Although there are many types of hydrangeas, most can be grown in full sun or partial shade. Keep in mind, however, that many hydrangeas do not like extremely hot conditions, so try to locate them in an area where they can enjoy some afternoon shade. While they can be grown in a wide range of soils, hydrangeas typically prefer rich, moist soil that drains easily. Amending the soil with compost prior to planting is helpful. Hydrangea planting should be performed in spring once the threat of frost has passed. Water thoroughly after planting. You can also add a layer of mulch following hydrangea planting. Water is an important factor when you care for hydrangeas. They enjoy deep watering at least once a week, especially in dry weather. Hydrangeas also benefit from an occasional boost of fertilizer once or twice a year in spring or summer. Hydrangeas can also be transplanted easily, but this should only be done during dormancy in fall or winter. Be sure to dig up the entire rootball and replant immediately. 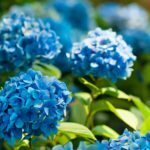 Since flowers are produced on new growth, you should prune hydrangeas once their blooming has ceased. As there are many types of hydrangeas, pruning and care of hydrangeas may differ slightly with each. The most common types of hydrangea are the Mopheads and Lacecaps (H. macrophylla). These are the varieties with large, globe-shaped flowers that many of us remember as kids. Pruning for these usually takes place in late summer. The Oakleaf hydrangea (H. quercifolia) is another commonly grown variety. With its unique fall color and oakleaf-shaped foliage, this variety usually provides year-round interest. It also tolerates drier conditions. Oakleaf is best pruned in early spring. Panicle (H. paniculata), or Pee Gee, exhibits white flowers in summer, which gradually turn pink. 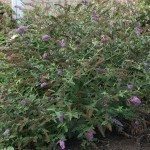 Prune to remove spent blooms and thin or cut back the plant in late winter/early spring. H. arborescens ‘Grandiflora’, or Hills of Snow hydrangea, should be pruned to the ground each winter or early spring as well. The hydrangea vine or climbing hydrangea (H. anomala) doesn’t usually require pruning but may be done in order to keep the new shoots under control. Growing hydrangeas is easy, as is the care of hydrangeas. These beautiful bushes reward you each year magnificent blooms that will instantly take you back to those fond childhood days.